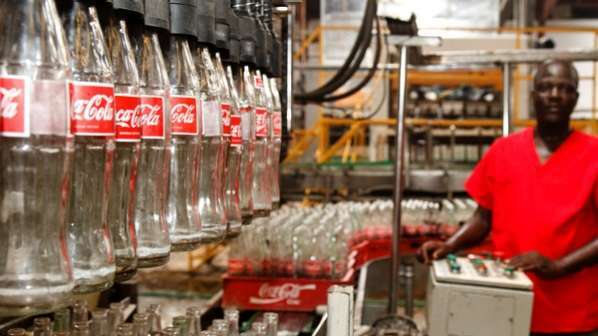 Nigerian Bottling Company Limited (NBC), a member of Coca-Cola Hellenic Group and bottler for non-alcoholic beverage giant Coca-Cola, has expressed commitment and readiness to achieve its projected business plan for 2019, as it recently disclosed that the company would be making huge investments to boost its production capacity across various operations this year. The Managing Director of NBC Ltd, Mr. George Polymenakos, recently disclosed this during an interview with journalists. He noted that though the Nigerian economy was experiencing slow growth, the company is optimistic that it would record good business performance this year, having laid a solid foundation with the enhancement of its portfolio, the bolstering of necessary infrastructure as well as the renewed commitment of its employees to deliver on projection. Polymenakos stated that the company was optimistic that it will reap the returns on its huge investments of over 500 million Euros, directed at beefing up operations over the last 4 years. He explained that the company was now equipped with the right infrastructure to meet the needs of its consumers while also creating value for the shareholders. ” Over the last 4 years, we have steadily increased the number and capacity of our production lines. The Nigerian Bottling Company’s business transformation and optimization plan which commenced in 2015, led to NBC bringing into Nigeria, investment of over five hundred million Euros (500M Euro) for the expansion and extensive upgrade of our manufacturing plants in Asejire, Ikeja, Abuja, Owerri, Challawa, Maiduguri, Port Harcourt and Benin, with the resultant increase in our total production capacity. In line with our ongoing accelerated business plan, we will continue to invest heavily in capital expenditure leading up to 2020, to ensure that we are well positioned to deliver operational excellence across the value chain” he said. Polymenakos said the company was optimistic that NBC would continue to witness growth regardless of the slow growth witnessed in the economy, adding that the Nigerian economy offers big prospects for improvement and development and that NBC with over 67 years of operations in Nigeria, has garnered a wealth of experience in meeting consumer needs and growing a successful business in the country.